Since joining Marina Bay Sands in 2010, Cheong has found it hard to juggle the demands of shift work, family and volunteering. 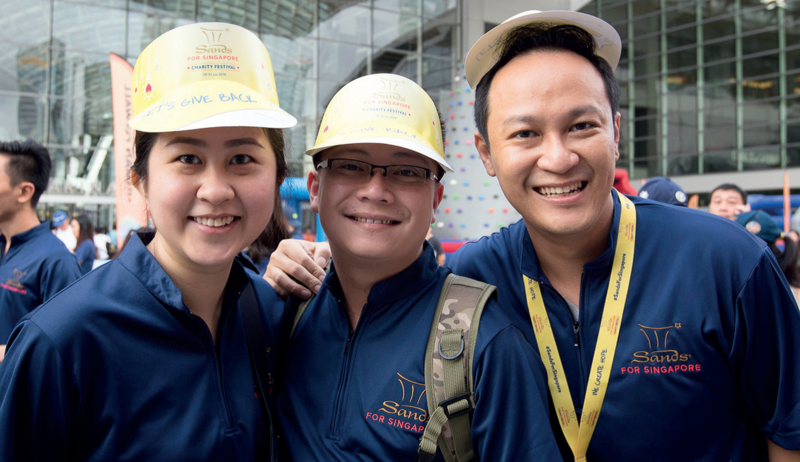 Last year, he decided to rededicate himself to volunteering and made the decision to join his Team Members and volunteered at Sands for Singapore, Marina Bay Sands’ corporate social responsibility program. Sands for Singapore is an initiative that is a part of Sands Cares, Las Vegas Sands’ corporate giving program. Marina Bay Sands and Las Vegas Sands remain committed to being good corporate citizens and instill this in their Team Members worldwide.